The red brick building on 200 Rhode Island street in the design District was the home of the Takahashi Trading Company. In the 1950s, Henri and Tomoye Takahashi created the Takahashi Trading Company. The business started out sending care packages from the United States to post-war Japan. However, the business later focused on importing goods from Japan to the United States. In particular, they imported hand-crafted items (mingeihin) and children's toys from various rural prefectures in Japan. Eventually, the businesses imported artful Japanese wares that previously were never imported to America. Today, those items are highly collectible. They still have loads of unopened Japanese pottery from 1960s stocks. 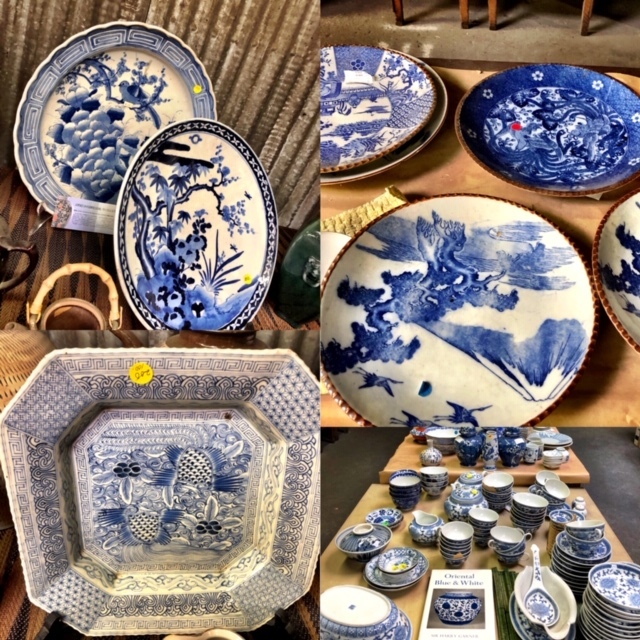 Massive collections of blue and white porcelain, vintage coffee table books. Oriental collectible goods from 60s and 70s, Vintage fabric, kimono, Tiffany lamp pendant, Antique UThong buddha, Mid century modern furniture (Milo Baughman floating case sofa with matching burl wood coffee table), so many things in this place. A chance to see inside the historical building before changes hands. Final Week, take additional 30%-50% OFF starts Sunday March 24 til the end of the month. 11-3:30p More pictures please visit Warren Estate Sales Instagram. This is once in a lifetime sales, you don’t want to be missed.